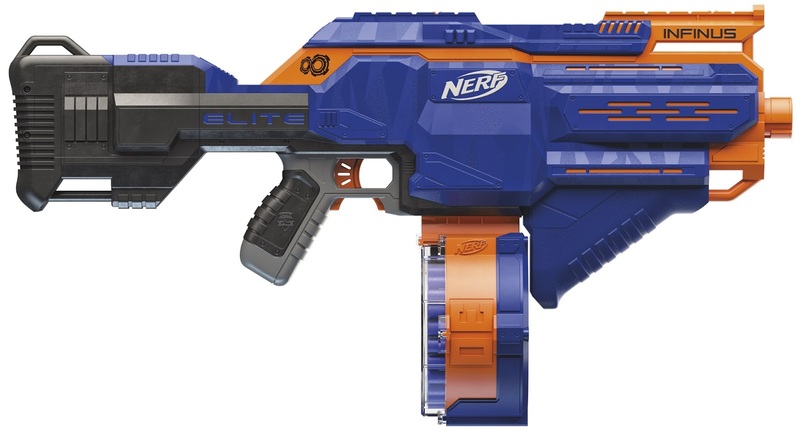 Nerf sent out the Press info for the Nerf Infinus and Nerf Mega Thunderhawk yesterday, and here you go! 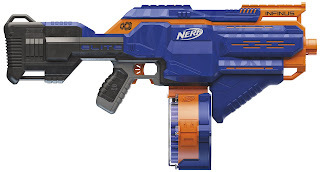 The Thunderhawk has this little feature (not in this picture) where the barrel pops out, after flipping out the bipod. Not really for performance but man that probably looks cool. The Infinus seems to have an innovative magazine loading funnel in the stock, so It will be interesting to see how that comes out. More on this later, gotta get to work. But enjoy the pics and the speculation! Don't forget I will be at New York Toy Fair, Feb 17-19. Make sure to check this space and my coverage on my social channels as well!